There’s no point in pretending this year has been anything other than a bit of a disaster for Wasps, the fall from grace has been a big one, and it hurts. Yes we’ve lost almost 50% of our squad availability this year. Yes we had our shining star of a Winger and a multi capped England prop both give up the game for good and walk out, yes we’ve had players that came to us on season after season of stunning form fail to replicate it in black and gold, but that is not what this article is about. In this article I am going to talk about all the reasons I am optimistic and cheerful about the future as a Wasps fan. Photo: Richard Lane/Richard Lane Photography. Wasps Pre Season Training. 04/08//2015. 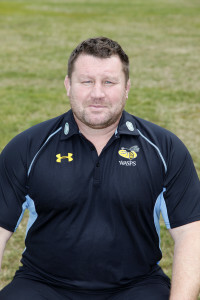 Wasps’ Dai Young, Director of Rugby. Let’s face it, this can only improve. Currently, even if we include Dai, we have more first team physios than coaches. Any increase in the size of the coaching team is likely to have a beneficial effect on the performance of the team. The fact is that while self directed drills are great, the one thing that has been shown to have the biggest effect on top level sporting performance is dedicated professional coaching. So more equals better. On top of that there have been a lot of rumours about the possible appointment of Shaun Edwards as a Head Coach. I have no idea if this will happen, but the fact that senior staff at Wasps have gone on record as saying that they want someone of Shaun’s calibre would suggest that there is something in the pipeline for someone to come on board, whether it is him, or another top level coach. I can think of at least one other person who has a connection to the club who could be in need of a coaching job next season. And I bet there are more besides. The world cup will likely see a number of people look to move on to new roles, be they club coaches, or even international level coaches. I would be very surprised indeed if next season didn’t see us with a new senior coach working under Dai at the very least. This season will go down in memory as the one where the effects of the salary cap hit us and we lost a stack of players who had either come up through our ranks, or had come to us as nothing more than second rate journeymen and truly hit their stride. Will Stuart, Elliot Daly, Nathan Hughes, Jake Cooper-Wooley, even Willie le Roux could reasonably fall into this category. Despite our supposedly poor training facilities (I still think this is a smokescreen invented by one specific disgruntled player) and our clearly terrible coaching we have taken players and helped them shine so brightly we could not afford to keep them. However there has been one other thing that we can say about this season. It is the season where the academy has started to bear fruit. Historically our academy produced some of the best players in the world, but in recent times it has not been something Wasps’ fans wanted to talk about. We looked at clubs like Saracens with genuine envy. Yet this year we have Jack Willis playing back at his stunning best in the first team, his younger brother captaining England U20s, we have Will Porter showing he can hold his own in the first team squad we have Alfie Barbeary playing for both England U18s and also U20s while still at school. As if they weren’t enough Sirker, Spink, Umaga, James, Oghre, and Anderson are just a few more of the players who look to have everything they need to make the switch to the senior level game. And the junior academy is just as good right now. Barbeary aside we will undoubtedly see several of them making the move to the senior squad in the not too distant future. It’s been a long time since we’ve been able to say this, but our academy is in a good place right now. As a person who just turns up, buys a beer or two and watches a game and then goes home it is hard to credit the vast difference in the underlying business that has occurred since the days at Adam’s Park. The Ricoh is an amazing place, and when it is full of fans wearing the strip and waving flags it is hard to think of it being anything other than a roaring success. But I would be very surprised if the rugby wasn’t just a small proportion of the income the club now has access to. 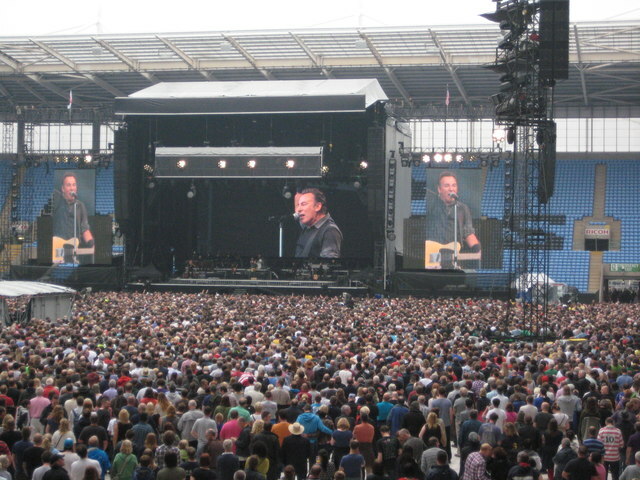 Not only do we have A-List concerts happening, but we have a truly world class conference facility. We have one fully functioning hotel, and another one being planned. We have a Casino, and several places to eat. It is possible we might lose CCFC as tenants (a subject for another article) and with them any revenue they generate for us. But I suspect this is not as big a figure as some would have us believe, and it could easily be offset to some degree or another by selling the extra weekends the venue will be unused for conferences or similar events. The stadium has a capacity of 40,000 for concerts, and the cheapest ticket you can get to go and see the Spice Girls in £60. We don’t need a particularly big cut of that to make a difference, and that is not even looking at the money made from food and drink. Some people will likely point out that he last few years of Wasps submitted accounts have shown a loss, and to those people I would like to point out that this is also a good thing for fans. Wasps Holdings is a private company. What this means is that it does not have a responsibility to a large group of public shareholders to show as big a profit as possible. Companies pay tax on all profits and so if a company uses any spare money it may have to reinvest in infrastructure then it can essentially use the money it would have paid in order to have more money later. HMRC don’t mind this as it generally means that when you do start making a profit and paying tax it is a LOT. Amazon made essentially no profit at all for the first ten years of its existence. And now Jeff Bezos is the world’s richest man. Investing in future growth over hitting quarterly revenue targets is always a good sign that a company is planning for the long term. And as a fan of Wasps nothing makes me happier than seeing that the owners of the club are planning for it to be successful way into the future. One last thing I want to mention, is that it is common to hear from other fans that the club is terrible at communicating. I’d like to remind you of a couple of things. Firstly we have no right to know what is going on around the boardroom table. Wasps is a private company. But much more than that there is both an ongoing lawsuit going on that will put restrictions on what can and cannot be said.  But also Wasps have issued a financial bond, which also places restrictions on the sort of thing that can be talked about. A club that had no such bond can essentially say whatever they want about themselves, but Wasps does not have that luxury. Statements that could be interpreted as affecting the market are not allowed. So yes, direct communication is not great. But instead of waiting for everything to be laid out in front of us, we should look at what is going on around the club, and draw what we can from that. The future is great, the future is black and gold. Do you agree or not? Come discuss it in our forum! ← Is Dai Young the right man to lead Wasps? An article which is very well constructed and which has made me think much more positively about the club that I love. Thank you. Thanks for the kind comments, its very easy to get caught up in the negatives, but I think it’s really important to take a bit of time to understand how far we’ve come, and how far we have to go! Hoooooo bloody ray! I thought it was just me that thought this way. Good for you Vespula Vulgaris about time we had someone articulate enough to comment at a time when everything seems doom and gloom to many. I have supported Wasps since the 1970’s and will always do so, through thick and thin……………..
Once a Wasp, always a Wasp! You’ve got a few more years under your belt than me, but I think there is a lot of love for this club and it’s about time we focussed on the awesome things that have happened, and that will continue to hasppen! Is Dai Young the right man to lead Wasps? Come and join the friendly discussion forums.